Ahmed A. Ammar, Chairman of MC, held a meeting, on Thursday the 17th of Jan., 2019, with the work team assigned to requalify Adahra oil field (32). 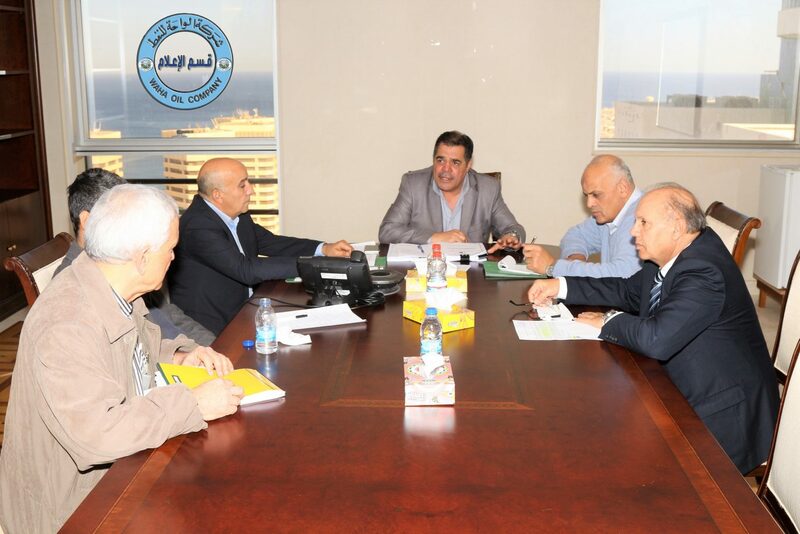 The meeting was attended by Mr. Mohamed AlMejberi, Member of the MC, Head and members of the work team, Manager of the Projects Department and the acting chairman of the tenders committee. The work team reviewed procedures, plans and programs adopted restore work in the field again. It is known that Adahra oil field was exposed to almost a complete destruction as a result to fighting operations as well as to devastation and to plundering that affected most of production and service facilities. Waha is currently studying the proper steps to regain work in the field.